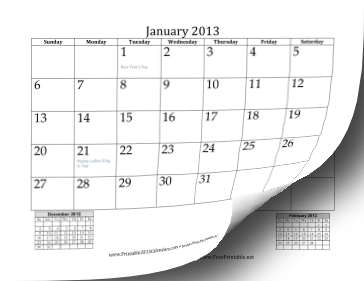 This free printable calendar for 2013 includes all twelve months on separate pages. The previous and next month are included as miniature months. This calendar is available for download in PDF or customizable DOC format. Free to download and print.